While walking down Dihua Street, I made a brief stop at Bookstore 1920s (1920s 書店) located right in front of the Dadaocheng Theater 大稻埕戲苑. The bookstore is housed in what was once the first western pharmacy in Taiwan: Watsons. After the building was destroyed by fire in 1998, the original owners’ descendants decided to rebuilt it and to restore its original features. The store itself doesn’t have much English book but I did find a book which at first glance didn’t look like a history book. The name however attracted my interest: “Walking into Taipei’s Past and Present”. It recalls Taipei’s history through 12 historical maps, as early as 1895, and over 200 historical photographs. It also features 24 themed articles written by specialists. Each article takes us traveling back in Time, experiencing through different moments in the history of the city, telling rare but interesting stories, and showing maps and photographs for having a better understanding of every piece of historical memory. I personally found fascinating being able to see buildings that no longer exist today or to see what was the original surrounding of building that are today squeezed between to High-Rise. I would highly recommend this book to anyone with a bit of interest into what Taipei used to look like. He-Sheng Tang (合勝堂) is open for tours from 10 am to 5 pm every day until 12th of November. The House converted in a Chinese Medicine Shop called He-Sheng Tang (合勝堂) which served as set for the Netflix Taiwanese Serie “A Taiwanese Tale of two cities 雙城故事” open its doors to visitors wishing to take a step further into the series universe until 10/12th. The 122 years old house located in the famous historical Dihua street underwent a 6 years’ renovation costing about $30 million NTD in order to preserve its unique architectural and historical features. It is now a private household owned by the same family for 3 generations. The director Nelson Yeh 葉天倫, nominated Best Director by Asian Television Awards in 2016, and the crew borrowed multiple props and accessories from other places to recreate a Chinese Medicine Shop environment. 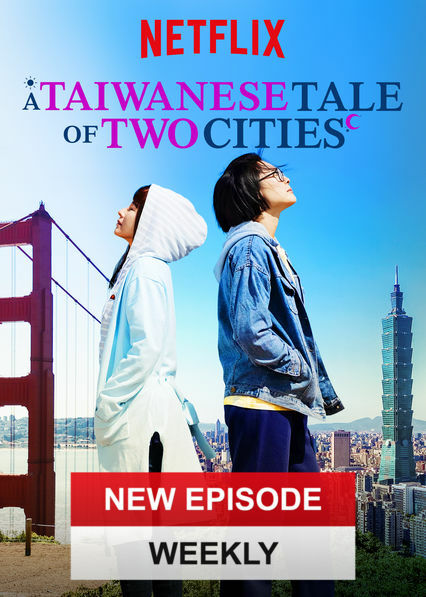 The series released on Netflix early September this year tells the story of two women, one from Taipei – Nian Nian – and the other (with Taiwanese origins) from San Francisco – Jo – stepping into each other’s life and switching places. 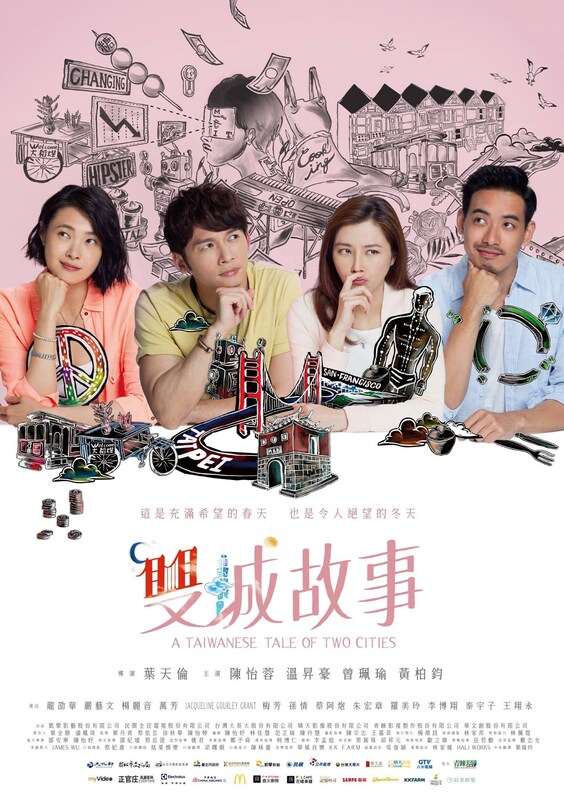 Amid the characters’ personal backgrounds and the love stories they are going through, the series highlights Taipei’s unique historical and cultural features as well as the culture shock between those people deeply connected despite the ocean between. A story both touching and funny that will surely seduce the audience and make them want to learn more about Taiwan. The series received a government grant from the Taiwan’s Ministry of Culture supporting the show’s portrayal of a Taiwanese story with a global perspective. For the occasion, the production is also holding a photo contest open to all until 10/31st in order to win some prize. For more information please refer to the official Facebook Page. The Taiwanese Animation Movie “On Happiness road” is among the 25 films shortlisted for the Animated Feature Film category of the 91st Academy Awards. The bittersweet movie, directed by Sung Hsin-yin (宋欣穎). is perfect to learn more about Taiwan’s history and society. It follows the life of Lin Hsu Chi, a Taiwanese woman born in 1975 who moves to the U.S.
She later rushes back to Taiwan after her grandmother death. There she shares and go through her memories as child in the late 80s in a modest area of Taiwan which was just emerging from the dictatorship and begins to question the meaning of happiness. Chi lives in the USA where she settled in pursuit of the “American dream” after studying in Taiwan. Her beloved grandmother dies and so she goes back in her hometown, where she finds her family, her childhood memories and her neighborhood on Happiness Road. Everything is jostling in her mind: her child memories , the little and the big stories, the bitterness of exile, her career hopes, her American fiancé and her family with some little old-fashioned traditions … And if after all the American dream wasn’t one? Will Chi end up finding herself while she didn’t even know she was lost? The Central News Agency recently reported that the Taiwanese Documentary “Father” (紅盒子),” directed by Yang Li-chou (楊力州), which tells the story of the father-and-son relationship of puppet master Li Tien-lu (李天祿) , won the best feature film at the 11th Chinese Documentary Festival in Hong Kong. You’ll be amazed by the details and dexterity with which the master moves and controls the hands gestures of the puppets. A wonderful insight in this endangered world of Puppet theater. Hand puppet is a type of opera using cloth puppets that originated during the 17th century in Quanzhou or Zhangzhou of China’s Fujian province. It had since established itself contemporarily as a popular art form in Taiwan. A friend forwarded to me 3 archive videos, titled “Holiday from Hell”. Those are colored films dated from 1967 on the R&R* time of US GI soldiers in Taipei, Taiwan. During the Korean and Vietnam War, each soldiers were entitled to one week of R&R at one of the location sanctioned by the US. Among those spots accessible starting from the 1960’s was Taiwan (KMT was then still recognized as the legitimate Chinese government by the USA). The Army paid for the transportation and accommodation, giving it was on the list of “endorsed” establishment .In the case that the GI remained at an endorsed hotel, he got a voucher to cover the cost. Else, he could go wherever he wanted however needed to pay the bill out of his own pocket. While touching base at destination, the GIs were instructed by the local USO (United Service Organization) on what to do or not and places to avoid. *R&R is the military slang for rest and recreation (or rest and relaxation or rest and recuperation), is a term used for the free time of a soldier serving in unaccompanied (no family) duty stations. I wanted to share an aerial video of Taiwan’s national parks extract from the documentary ‘Taiwan National Parks from above’ shot by the late Aerial Photographer and film director, Chi Po-Lin for Taiwan’s Construction and Planning Agency. Chi Po-Lin was well known for his 2013 documentary “Beyond Beauty: Taiwan from Above”. This is also a good occasion for me to go through the history of those Parks. There are today 9 national parks in Taiwan under the administration of the Ministry of the Interior. Originaly, three first national parks were created in 1937 under Japanese administration. Daiton National Park 大屯國立公園 (Now Yangmingshan National Park), Nītaka-Arisan National Park 新高阿里山國立公園 (Now Yushan National Park and Alishan National Scenic Area) and Tsugitaka-Taroko National Park 次高タロコ國立公園 (Now Taroko National Park and Shei-Pa National Park). During Martial law (1949-1987) voices for protecting the environment were suppressed mostly in favor of economic and infrastructure development. With time and increasing concern, the government released its grip and passed the National Park Law in 1972 after which the new national parks were reestablished starting in 1984 with Kenting National Park. It was followed by Yushan and Yangmingshan National Parks in 1985, Taroko in 1986, Sheipa in 1992, Kinmen in 1995, Dondshan Atoll in 2007, Taijiang in 2009 and finally South Penghu Marine National Park in 2014. Those parks are under specific regulations such as requiring entry permits for certain area as well as hiking permits. Dadaocheng 大稻埕 also known as Tua-Tiu-Tiann is well known to be a meeting point for culture and history aficionados. The district was at the center of a major cultural movement during the 1920’s which the International Festival of Arts took as an inspiration for this edition with the theme of the “Roaring Twenties” . Multiple events such as lectures, play, exhibition and outdoor performances are being held until October 31.